I am very interested in researching mid-mod topics — products, people, concepts — not covered widely in other online home and design media. 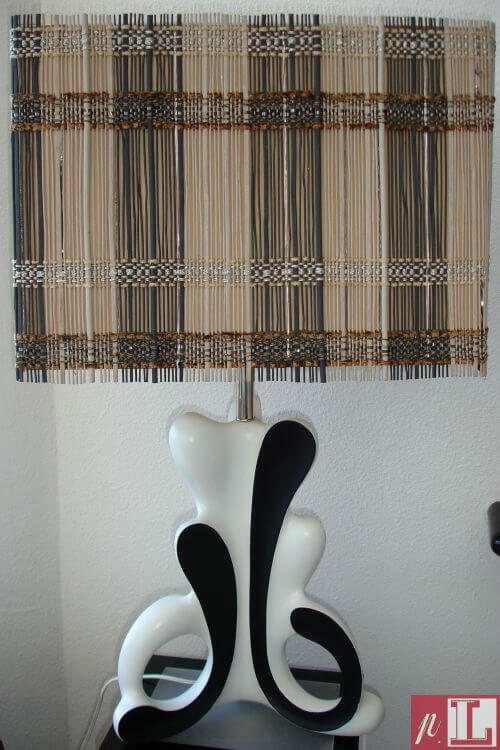 One area ripe for more exploration: Women designers working in mid-century America. Today: Maria Kipp, a textile engineer and designer who led her own successful company, Maria Kipp, Inc., in Los Angeles from 1926 through the 1977. Her hand-woven textile designs — used for draperies, upholstery and lampshades — were specified by some of the most famous modernist designers. 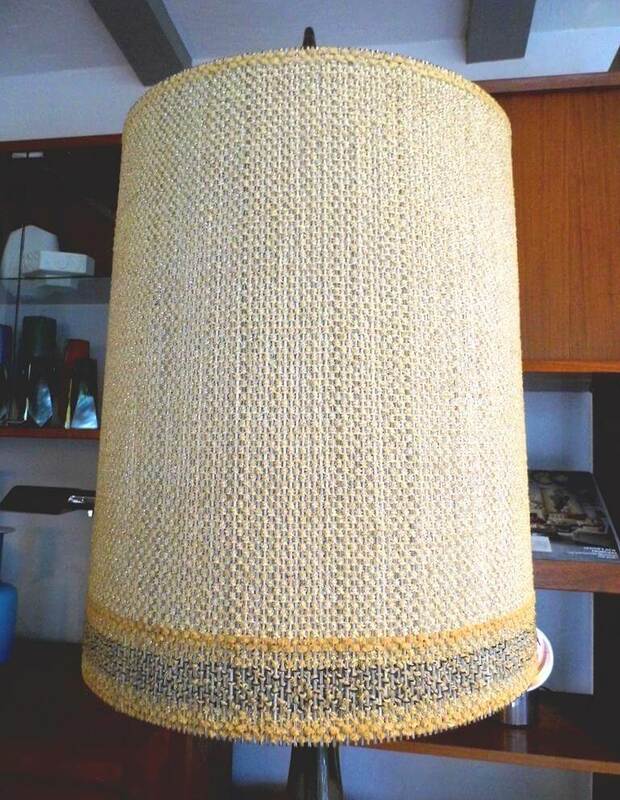 Now that I’ve discovered vintage Maria Kipp textiles and lampshades, I understand why. They are Exquisite. Just exquisite. Above: A Maria Kipp, Inc., publicity photo from 1959, from my personal collection. 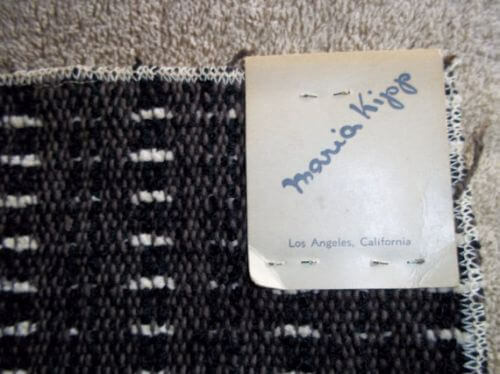 Click on the image and it will enlarge — See what seems to be this rare photo of Maria Kipp along with beauteous “samples of her newest hand-loomed fabrics.” The caption says that, “Weaving has been her business for 32 years.” Maria Kipp was born in 1900, so in this photo she was around 59 years old, during a period when her business was going strong. 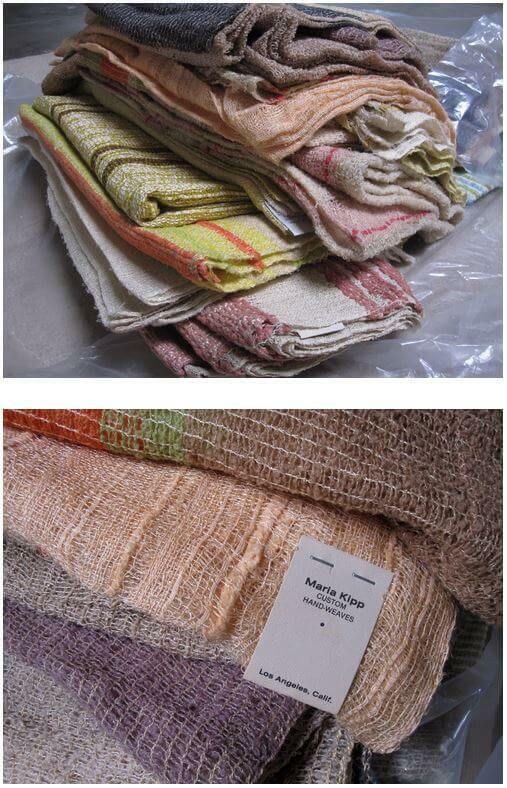 Woah, the folks at LAMA bought up a boatload of Maria Kipp textiles samples at her estate sale in 2000. See their complete archive of stories about their samples here. Photo courtesy Los Angeles Modern Auctions. Born in Weisenbruhn, Germany in 1900, Kipp had a relatively well-to-do childhood. However, her life was was marred by tragedies — the death of her younger brother, mother and father by the time she was 17 — which likely played an important role in strengthening her resolve to defy tradition and become a successful artist and businesswoman. In 1918 — against the opposition of family, she began studies at Munich’s Kunstgewerbeschüle — one of a few elite schools of arts and crafts in the country. Cultured young women were expected to be wives and mothers. And working in the arts? Decadent! By this time, her parents had both died, and her inheritance was being contested. It seems she also was motivated by the basic fact need to pursue her own financial security. There was a beau involved, too — Ernst Haeckel. (They would later marry.) The pair had been courting for several years already, and Haeckel was already a student at the Kustegwerbeschule. 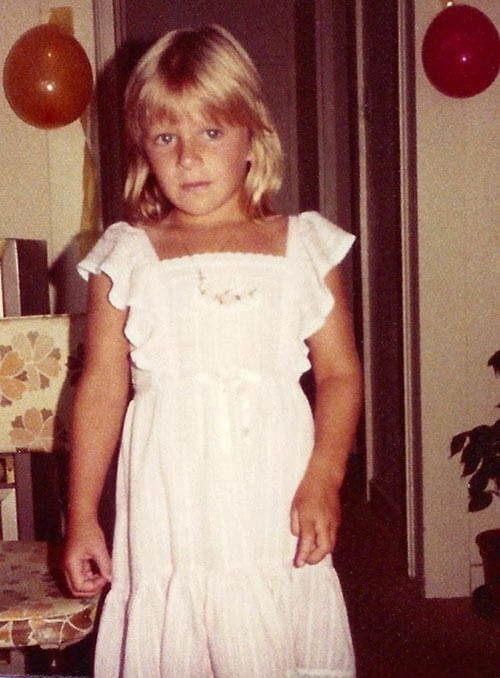 In her autobiography, Kipp does not say what she studied at the school. However, it is believed that women were pushed into the decorative arts — textile design, embroidery, and glass- and ceramic painting. In 1920, Kipp put up a fight again — and became the first woman to attend the Staatliche Höhere Fachschule für Textilindustrie (State Higher Technical School for the Textile Industry) in Münchberg, Bavaria. She immersed herself in studying to become a textile engineer. Her studies we an alchemy of the art and the science, both… They included the intensely technical — the woman ultimately built her own Jacquard loom, the precursor to a computer! Kipp excelled and in 1923 earned her degree. Kipp and Haeckel married in late 1923. Some time that year, a friend gave her a handloom and once again, Kipp started her own business, not only defying tradition again but also somehow sidestepping what had been rigorous German guild regulations. Haeckel helped with the business. In 1924, amidst continued social and economic disruption in Germany, Kipp and Haeckel emigrated to Los Angeles. By 1926, the couple was able to relaunch their textile business — it was named “Maria Haeckel, Exclusive Handweaving”. Haeckel handled the business-side, Kipp, the design and manufacturing. Los Angeles’ population grew from 100,000 in 1920 to 1.2 million by 1930 — and modernism had its following — so it was a ripe environment for architects and designers alike. Indeed, one of the company’s earliest clients was famed modernish architect Rudolph Schindler. It sounds like Kipp’s business ramped up pretty quickly, with many noteworthy commissions. She remarried in 1933, to accountant George Engelke. They had one son, George F. Engelke. It’s unclear how her business fared during the worst of the Depression and World War II itself. 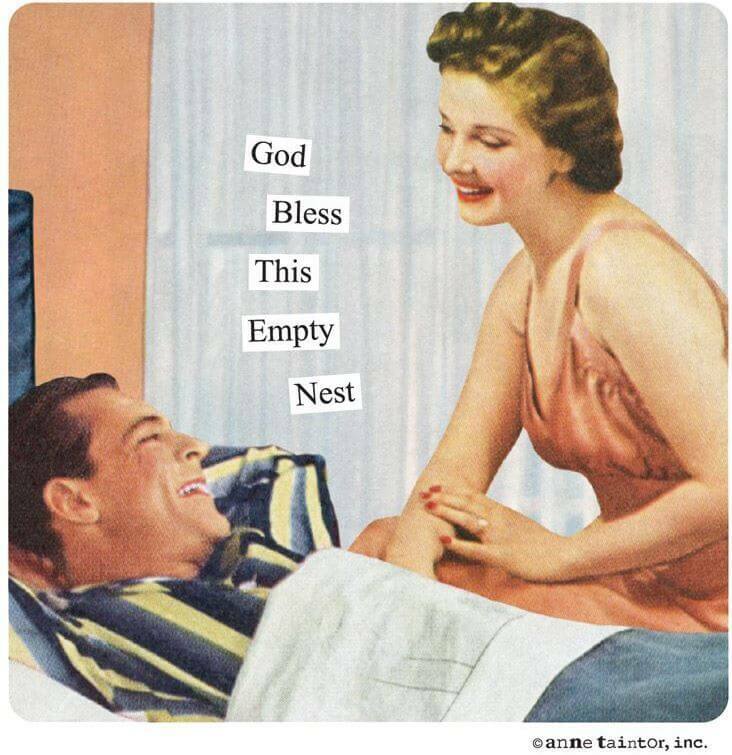 But most certainly, she thrived once the war ended and housing construction boomed nationwide and especially in California, the epicenter of the new modern way of American living. Her textiles were used by movie stars and celebrities. They also were used in leading hotels and nightclubs — even Air Force One. Above: Empoli Glass decanter lamps with their original Maria Kipp shades from modpro1 on ebay. They sold for $200. 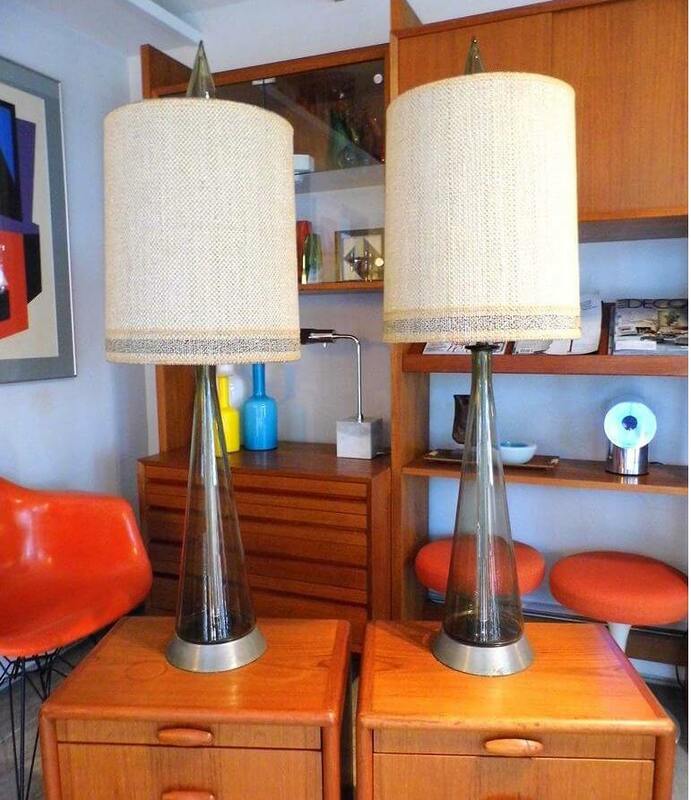 Above: Empoli Glass decanter lamps with their original Maria Kipp shades from modpro1 on ebay. In 1978, Kipp wrote an autobiography, by hand. A copy of the typed version, 90 pages long, is housed at the Doris Stein Research Center for Costume and Textiles at the LA County Museum of Art. Another item to add for my must-do list for a future trip to Los Angeles: Spend an afternoon reading Maria Kipp’s autobiography! Another fun write up was this story from the Antique Gas and Steam Engine Museum in Vista, Calif. (another of my home towns….) After Kipp died in 1988, one of her hand-built Jacquard looms was donated to this museum. It sat unused for a long while, and only recently was restored to its original workable condition. In addition, the story describes how jacquard looms were mechanical precursors to, get this: Modern computers! Who woulda thunk it? Maria Kipp’s work was — and remains — exquisite. What a woman! What an amazing legacy! Open thread: Should we use the terms “feminine” and “masculine” to describe decorating styles? Thanks so much for the information on a designer I had not heard of before. I collect vintage costume jewelry & that was another field with many strong, creative women who broke the stereotypes of the era. What about ‘Greta Magnusson Grossman’ 1906-1999, ‘Clarisse Cliff’ 1899-1972? Love these feature articles on women artist who paved the way. Thank you Pam! I will add them to my research list to check out. I know of Clarisse Cliff. I’ve been so busy and away from the site so long you must have thought I’d lost interest. That will never happen! Glad you are featuring some of the women home designers on your site, and hope the reader’s paper on Eileen Grey will morph into a post on her. Next, how about Erica Wilson? Did you feature her before? I have a huge crewelwork picture, “Unicorn in Captivity” adapted from the Unicorn Tapestries, hanging in my living room. I began working when I was at the height of my needlework hobby and put it away for years, only to finish it after moving into my new ranch house while recovering from cancer surgery. Almost every bit of crewel work I did–some kits, some of my own design–was given away as gifts, so I was delighted I hadn’t finished this and given it to its then intended recipient! It’s 1970s classic colors fit perfectly in my living room.